If you are administrator of Facebook group, YouTube or Twitch channel and want to help advertice our service - write your offers to support@steambroker.com. We will discuss with your personal conditions. Welcome to our affiliate program which will help you to earn real money. We appreciate your time - so we have prepared a number of useful tips that would describe conditions of our program in a nutshell. Spend just a few minutes and you will find out everything you need! Your affiliate link is the most important though the easiest part of our program. Affiliate Link actually is a usual URL, but it has your unique partner number added to it. This number has been generated separately for each Account and it is the basis of your earnings! Tell your friends about our service! Tell your friends about our great service. Especially, if your friends interested in Steam trading. Forget about one time profit! As soon as a referrer that had followed your link to enter the site will sign in to his own account, he will become your eternal referrer. In the future you will receive an income from each purchase and sale he would make! There is time to think! If a user visit our site with your affiliate link, he will get month-long mark (cookie) with your affiliate ID. If user will return on our site during this month and will log in through the Steam™ account – such user will become your referrer. And that's just the beginning!! If user from your referrer team will attract other users using his affiliate link - these users will become Yours referrals as well, though the second level ones. And you'll start receiving profit from purchases and sales of these users too! Get your money instantly! Referral payment will be allocated to your balance instantly after the finish of the deal. And you can use these funds to buy goods on our site or to withdraw it any time! We are pleased to present to you our affiliate program rates. Our program consists of two levels. 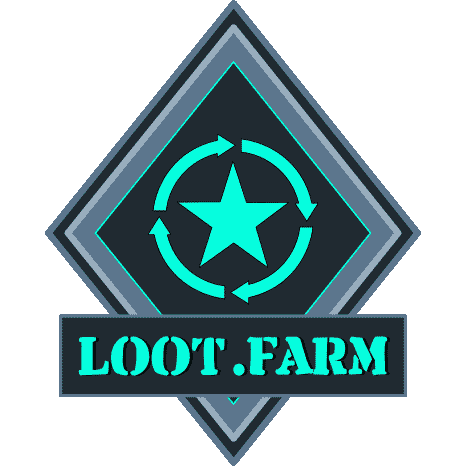 First level includes users, coming to our website through your affiliate link and logging in for the first time with the Steam™ account (new account on our site will be created automatically and your referral mark will be saved). Second level includes referrals of your first level referrals, i.e. users taken to this site by your first-level referrals. You will get certain fixed percent rate from every purchase or sale accomplished by the users from both levels. You will get fixed amount for each referral who actively use our service. Our partner rates are: 1st Level referrals: 20% from our commission in every purchase and sale made by referrals. $0.2 from active referral*. 2nd Level referrals: 5% from our commission in every purchase and sale made by referrals. * - you will get bonus if user will sell or buy items in total amount above 1 USD. referral - a user who came to the website using your affiliate link and logging in with Steam™ account. For example, if our commission from deal of your referral is 10%, You will get 2% from item value. If in this deal seller and buyer is your referrer - You will get 4% from item value. . Spread your link. Each link sharing increases the chances that someone will find it. Use it, and make profit of it. Place your link on various theme forums, interest groups, sites , social nets etc. Do it regularly. Regularity is the key point here. Check which places bring you biggest revenue and look for similar places to tell about our service on regular basis. Always come back to the places you had previously left the links and renew them monthly. Set a clear schedule (for example 2 hours each week). Once you have set up such regular pattern the effects will be there as soon as a month’s time. Keep track of your statistics. Analyze the statistics of your incomes and draw conclusions. Think of the actions that brought you the biggest revenue and proceed repeating it. If you had found the place where the interest to our service is high, and as a result the quantity of registered referrals is growing, use these places and look for the similar ones. Social media make money! How does it work? Think about it for a second. Let's imagine you have 400 friends (either in real or virtual world on such social media portals like Facebook, Tumblr or Twitter) and just 5% of them are playing online games regularly and hence are buying something in our net. Those 20 people are your chance to earn money on their purchases and sales! But that is not all. What if these 20 ones also have 20 friends each. We will receive 400 people in result. Does that sound good enough? That's what we call the strength of unity when everybody can benefit equally. Invest part of your profit into the development of the business! If you feel, you are ready to get more, try to invest part of your profit to payable advertising. For example try to share our link in game-related advetising networks. Another interesting trick to do is to transfer part of your money to the 'Gift coupons' of our service. You may find this option in a Withdrawal section of our site. These Gift certificates may be used by you as presents to your friends in order to attract them to spend money on our service, or become awards in any kind of competitions. In order to activate the certificate and allocate money on the account, owners of the coupon will have to visit our site and log in through the Steam (and will become your referral). Earn Money by means of Forum Discussion. Another great method you can use, are all sort of internet message boards. Almost every game has at least one, where people share ideas and their gaming passion. Do not hesitate, make an account, take part in discussions and become a part of the community – and once you find a suitable opportunity share the information about the SteamBroker.com – the place where people can buy and sell goods on good pricing!. Get richer by playing games. Do not look around for strangers who might feel a bit harassed if nagged by random questions. Get to know them first! Find a cool guild with many great people, befriend them, spend time together and when you feel the right moment share your SteamBroker.com information. Know a Big Fish? A pile of cash is waiting. Think for a moment if you know a Youtuber? Blogger? Website admin? Message board moderator? Streamer? Website editor? Someone who has a wide range of viewers? They are the Big Fish! Muster the courage... Level 1 relation remember? If you manage to convince such a popular person with lots of subscribers/viewers, you will earn 50% of their income! - Try to get into discussions. Wait for a good moment and only then share the info about SteamBroker.com. - Do Your best to make friends with everyone. Being nice and polite will make a huge difference. Ask people about places where they buy games and in-game items. If You get any info – check that site and compare prices and advantages. It is You who have an ace up your sleeve :). - Note down all places where You posted links. Go back there regularly, check if there was any feedback to Your post and answer questions. - The first and the most important rule - DO NOT spam! The most common mistake is making an account and posting in a random section of a forum. This method will get you banned not potentially profit. To give some additional reward to our active partners, we will run a weekly contest for the award of best partner of the week! Every Sunday at 23:59 (CET) users with maximum amount of referrals and max money earned during last week (Monday 0:00 to Sunday 23:59) will be selected. Maximal amount of 1st level referrers during current week! The prize is, amount of money equal number of referrers multiplyed by $0.02. funded to account. For example, 100 referrers = 2 USD bonus. 2 Злой Геймер 12 referrals. 6 B3NZiN CSGOBOOKS.COM 3 referrals. 10 Flappy B0T 1 referrals. Maximal amount of money earned during current week! Prize is 10% from amount earned in our Affiliate program during current week. Included referrals from all levels and all bunuses. You can see current amounts bellow. Are you ready for earnings! Join NOW!